An implementation of SVGF based on this paper. 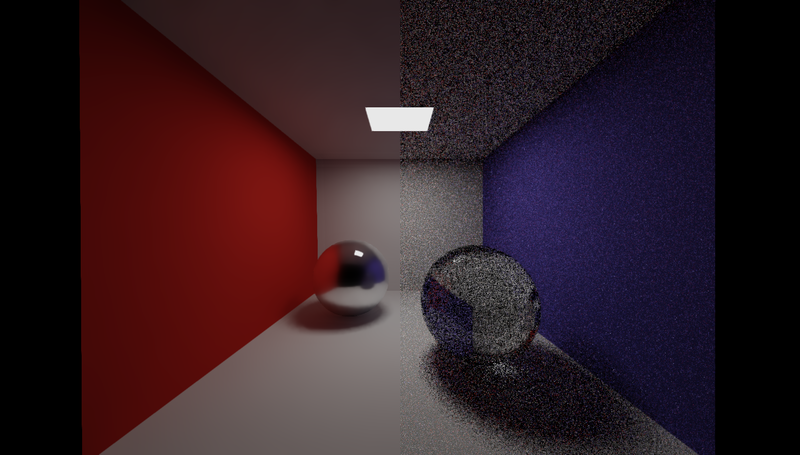 Uses a spatially-aware hierarchical filter combined with temporal accumulation/reprojection to attempt real-time denoised path-tracing. 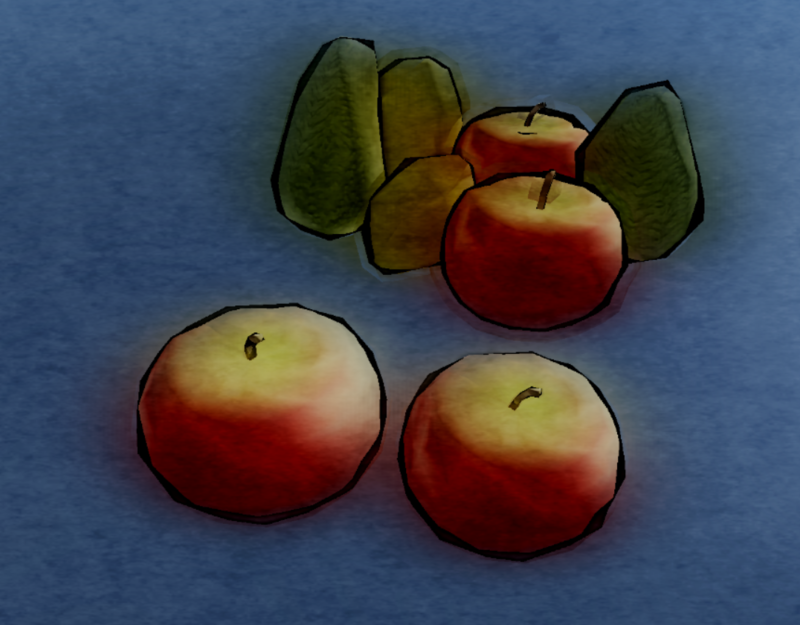 A non-photorealistic renderer with a watercolor and ink style. An iterative density solver integrated into the Position Based Dynamics framework (PBD). Based on this paper. A simulation of curly hair based on this work. 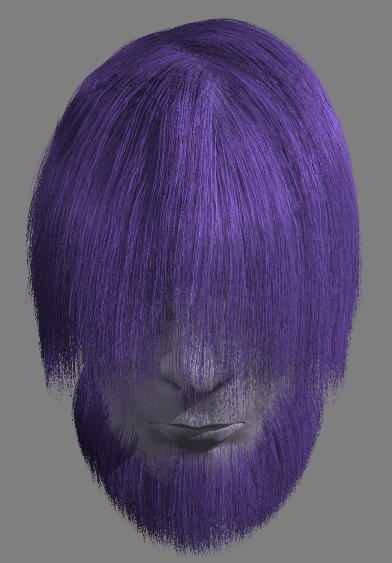 Simulates hair using three springs (stretch, bending, and core) and collisions using spheres around each particle and the approximate head model. Utilizes MSAA, single/multi-hair interpolation, B-spline smoothing, billboarding, and hair shading. 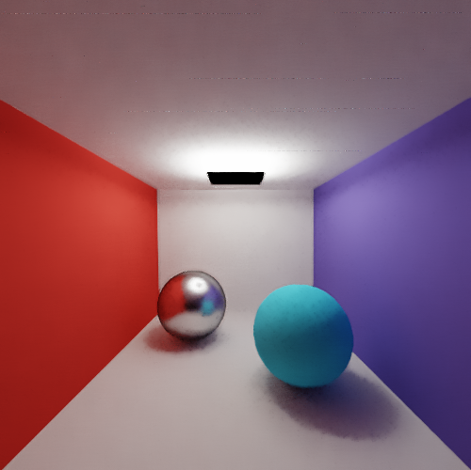 A bidirectional path-tracing implementation with multiple importance sampling, sub-surface scattering, and feature-enhanced denoising. 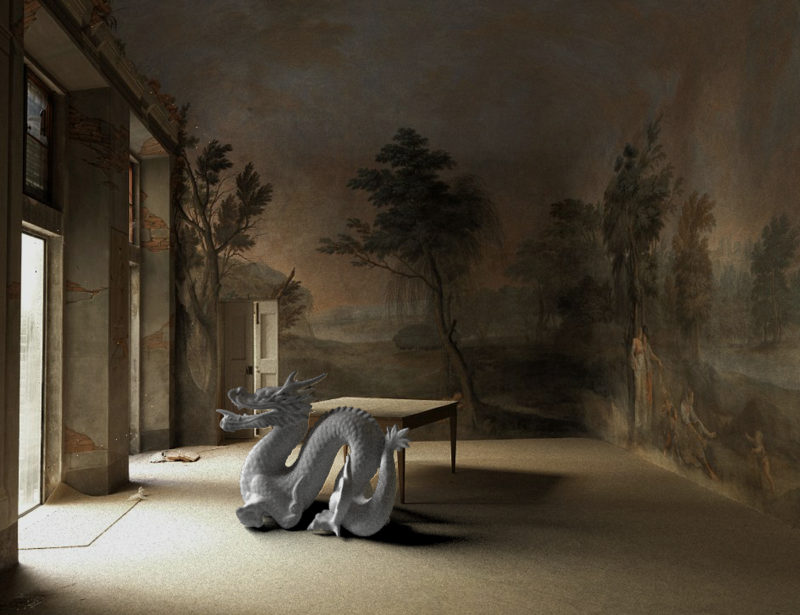 Our project aims to insert a virtual object into a real photograph of a room. 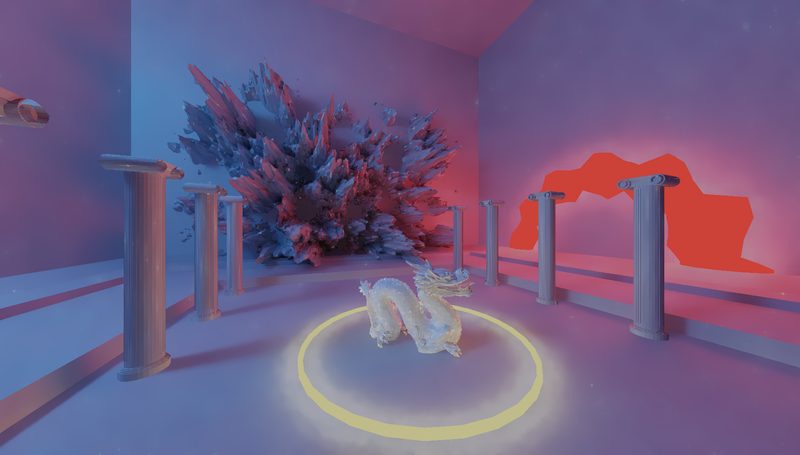 We created a user interface to use G3D scenes to model the room, light sources, and simple geometry (i.e. desks, chairs, etc.) based on the photograph. 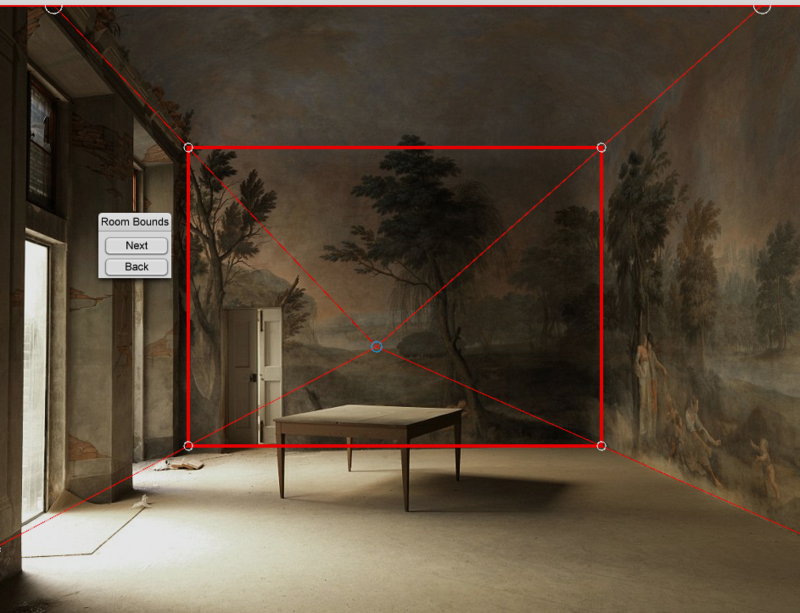 We then place the virtual object into the scene/image and render the two together. 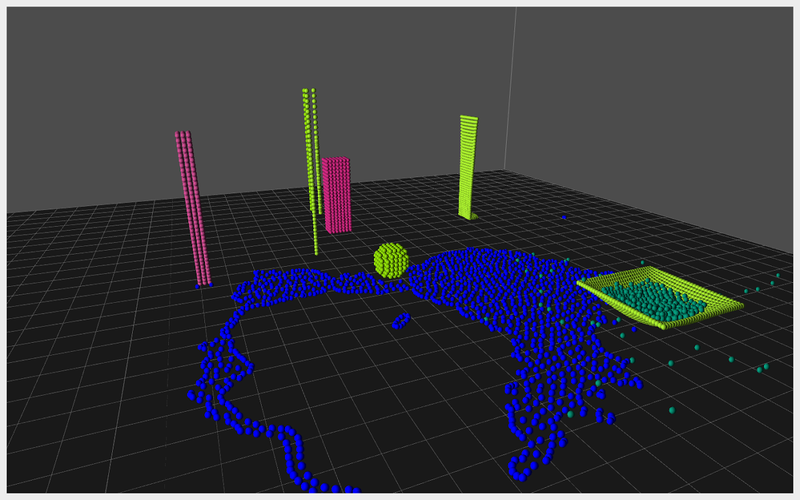 We have designed a GPU based particle system to handle inter-particle interactions. The system is versatile enough to support numerous mediums, including fluids, smoke, rigid bodies, cloth, and granular materials, all in real time. The underlying constraint system is easily extensible to support a wide variety of constraints. We used the paper "Terrain Generation Using Procedural Models Based on Hydrology" to generate procedural terrain over an endless landscape. An implementation of the paper “Computing smooth surface contours with accurate topology” by Pierre Benard, Aaron Herzmann, and Michael Kass (2014). We re-mesh and refine 3D models to extract consistent contours. 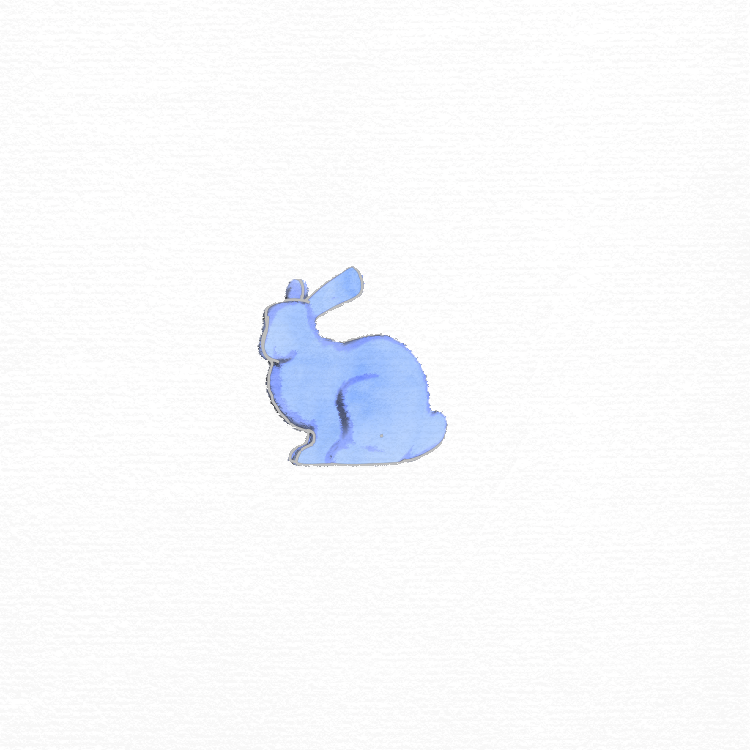 Contours are then composited with a watercolor shader to produce a stylized 2D representation of the original model. This work is based on Predictive-Corrective Incompressible SPH (PCISPH), which is an improvement of the original SPH simulation method by applying an additional prediction-correction loop to achieve the incompressibility as well as allowing larger simulation timesteps. In order to enhance the quality and stability of this simulation, we integrated concepts from other related papers such as enabling self-adjusted time steps, applying particle collision tests, using a more practical "cohesion-viscosity-curvature surface tension model", dealing with boundary particle issues result from insufficient neighbors, etc. Once we have the particles simulated, we render them using screen-space fluid rendering with curvature flow. This technique creates a screen space smooth mesh from the particles using a blurred depth map. It also creates a thickness map of the particles. Combining these two maps with realistic shading produces realistic rendering of water in real time. 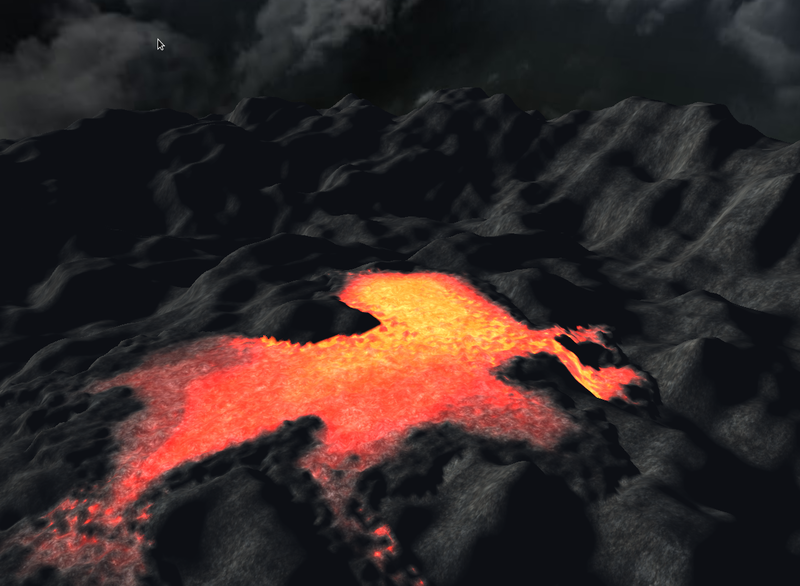 Description: "Lava flow over a heightmap-based terrain is simulated using a simplified version of the shallow water equations. The project started out by implementing the paper Fast Hydraulic Erosion Simulation and Visualization on GPU by Xing Mei, Philippe Decaudin, and Bau-Gang Hu. In this paper, values such as the flow and height of fluid at each cell on a grid are stored on the GPU in the pixels of textures. These values are used to redraw the mesh of the fluid after each timestep as well as calculate how the fluid will move. To make this work for lava, heat energy is tracked across cells, and over time, heat energy slowly approaches the temperature of the environment. 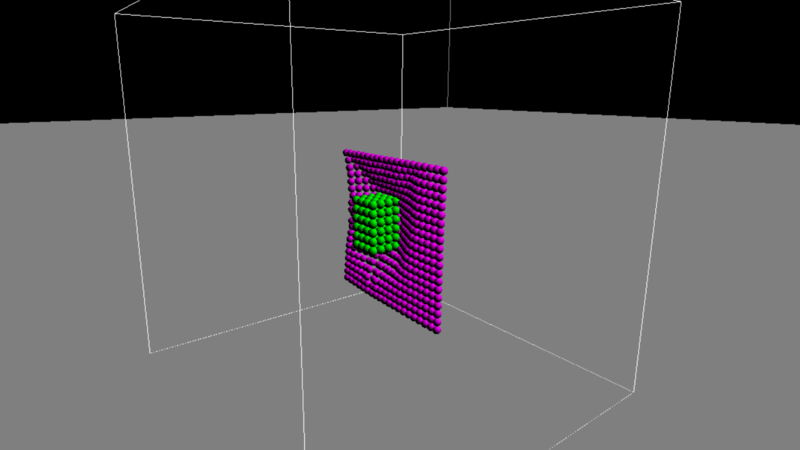 The average temperature between adjacent cells is made to be proportional to the cross-sectional area of the virtual pipe connecting the adjacent cells. This virtual pipe limits the flow between adjacent cells; thus, temperature is made to have an effect on the viscosity of the lava, where hotter lava is less viscous. To get the lava to be a realistic color, there is a simplified integration over wavelength energy values found via Planck's law. Hotter lava appears bright orange and cool lava appears dark red or black." An implementation of Macklin et. al's Unified Particle Physics for Real-Time Applications for both the CPU and GPU. This physics simulation was implemented on both the CPU (leveraging the Qt framework) and GPU (using CUDA) as a final project for Brown University's graduate-level course CSCI2240: Interactive Computer Graphics by Evan Birenbaum '15, Logan Barnes '15, and Geoff Trousdale '15. Real-time Hair from Mike Ravella on Vimeo. 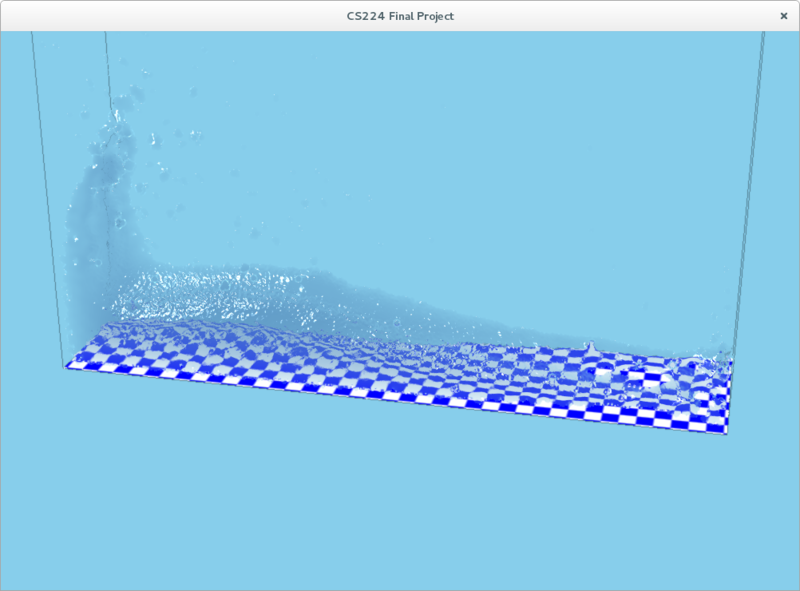 An implementation of a paper by Disney (A Material Point Method for Snow Simulation) that was improved on by using CUDA to move calculations to the GPU. Team members are: Max Liberman (mliberma), Wil Yegelwel (wyegelwe), Eric Jang (evjang) and Tim Parsons (taparson). See the project page for more information. Volume visualization of the human brain, or other 3D models, using slab-based raycasting and rendered using CUDA. Team members are: Robin Martens (rmartens) and Jake Stern (jastern). For our final project we implemented a non-photorealistic shader based on Gooch et al. 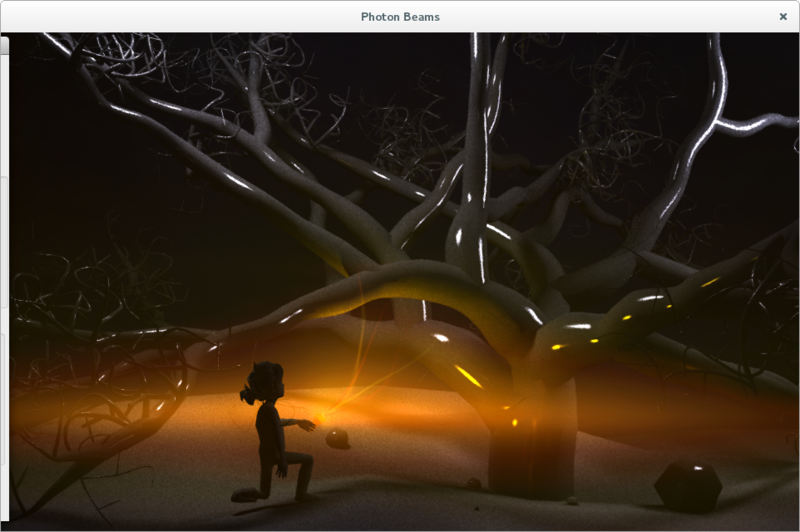 with silhouette edge detection using geometry shaders. 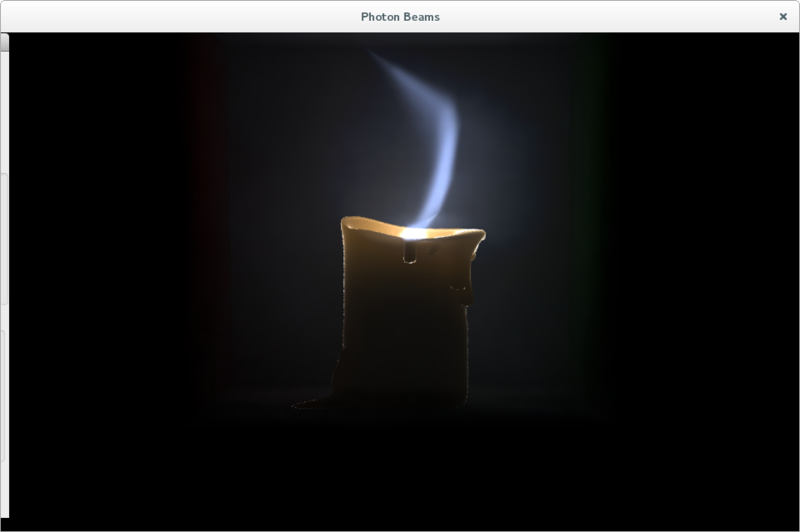 As well, we implemented a non-photorealistic based smoke effect and its physical simulation using ODE (physics engine) according to McGuire et al. Our final product was a simple airplane shooter game for showcasing the effects and shaders we created. Team members are: Arthur Yidi (ayidi), Jixuan Wang (jw16) and Michael Murphy (mjm9). See the project page for more information.